Jóanes Nielsen’s works deal with political and existential issues. He made his debut in 1978, and has since written several plays, short stories, poetry collections and novels. Several of his works have been translated into Danish and Norwegian. 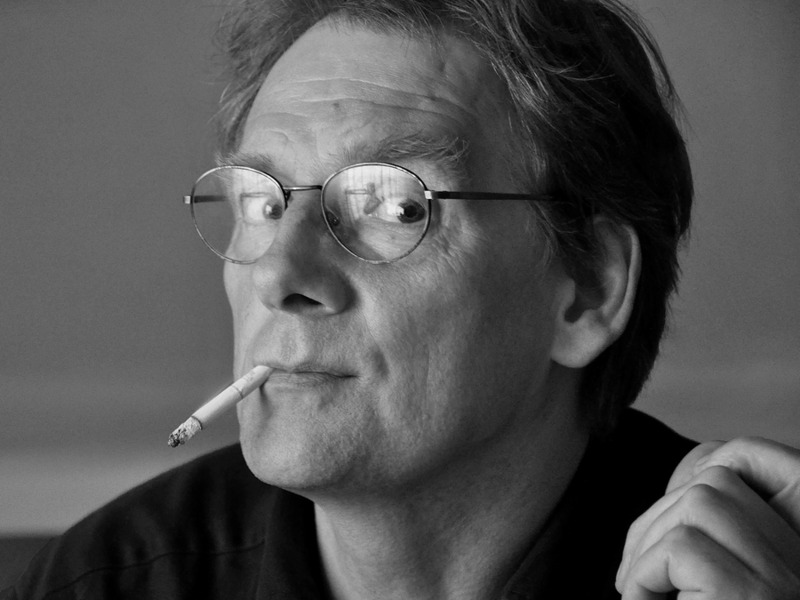 His novel Brahmadellarnir (2011) was translated into German and published by btb / Random House in 2016 and the rights of the sequel Bommhjarta have been sold to Germany and the btb / Random House. Brahmadellarnir have also been published in the US by Open Letter. His lates poetry collection Gudahøvd from 2017 is nominated for the Nordic Council Literature Prize 2018. 2002 Eitur nakað land week-end? 2017 The Brahmadells. Translated by Kerri A. Pierce. Openletter Books. 2005 Hedder noget land weekend? : skuespil i syv afsnit. Translated by Ebba Hentze.